Mark Rebstock joined Meridian’s Professional Exchanges Division (PED) in 2014 serving as a Program Officer administering the U.S. Department of State’s International Visitor Leadership Program (IVLP). Mark was recognized with the Global Ties U.S. Excellence in Programming Award in the National Program Agency category in 2017. As Vice President for External Relations within PED, he helps develop legislative strategy and oversees Meridian’s efforts to advocate for exchanges. Prior to joining Meridian in 2014, Mark served the National Council for International Visitors (NCIV) (now Global Ties U.S.) in successive roles as Director of Membership and Training, Vice President, Interim President and Chief Operating Officer. His responsibilities included directing NCIV National and Regional Meetings and other training programs, administering sub grant programs, and membership services. He previously worked for five and a half years for the International Visitors Council of Greater Cincinnati (IVC), first as Assistant Executive Director and then as Executive Director beginning in 2001. Before joining the IVC, Mark served as Director of Education and Programming for the World Affairs Council of Greater Cincinnati, and in professional roles in support of international education with the Associated Colleges of the Midwest and Earlham College. Mark holds a Master’s degree in International and Intercultural Management from the School for International Training in Brattleboro, Vermont, and a B.A. in English Literature from Earlham College in Richmond, Indiana. He is also a graduate of the Center for Creative Leadership’s Leadership Development Program (LDP), the Greater Cincinnati Chamber of Commerce Regional Leadership Forum and the United Way of Greater Cincinnati’s Volunteer Leadership Development Program. Mark is currently a member of the Board of Trustees of the Alliance for International Exchange as well as a member of the Public Diplomacy Council and PDAA – the Association of Public Diplomacy Professionals. 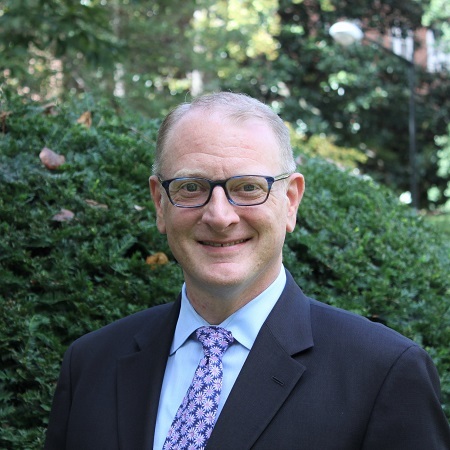 He has previously served on the Boards of Directors of Friendship Force International, the PDAA – Association of Public Diplomacy Professionals, and the Earlham College Alumni Council.